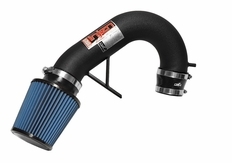 Injen Intake Systems exceed OE standards and as a result will not void any existing factory warranties that you may have. Additionally, you'll enjoy increased horsepower and torque, as well as improved throttle response. Fuel economy gains, especially during freeway conditions, are commonly achieved helping the unit to pay for itself over time. The Part number for this item is Injen SP3087WB and it fits 2017 Audi A4 (2.0 Turbo Models).